Smart Building Construction is possible with the Internet of Things (IoT). This year, the number of connected devices is predicted to exceed 11 billion, excluding desktop computers and phones. In 2020, Mobile phone users are projected to rise to 6.1 Billion. 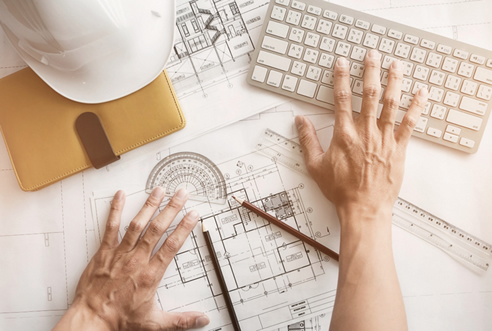 Every day more Building, Construction and Design stakeholders use integrated connected devices, assets and building materials used for their day-to-day operations. Data collected and analyzed from these devices to aggregated centralised systems are crucial to a company's process improvements, risk management, critical decision making and overall operation. In the old days or in Hollywood films, construction workers used to line up in front of the construction site to clock-in and out of work. Not only did that take a lot of time, it certainly held up efficient production. 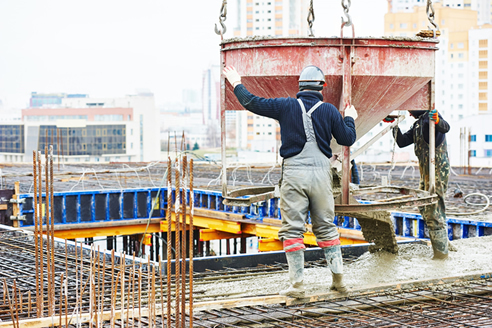 With IoT, when a staff member steps into a smart building construction project, they can clock-in using their own mobile device. Another way to make sure workers clock in on time, is by using embedded sensors on their hard hats. Prevent asset losses by tracking machinery, equipment and building materials using Radio-frequency identification (RFID). Know where vehicles are placed or where materials are stored at any given time. Using data collected from RFID, purchasing staff can get notified if the warehouse is running low on stocks. More project managers and engineers use drones to conduct site surveys, capture a 3D image of the project from an aerial view, track project progress and instant mapping, adding great benefits to worker safety and reducing survey time. The International Labor Organization stated that every 15 seconds, 151 workers have a work-related accident. Despite safety regulations in place, safety remains a cross-industry issue. With the Internet of Things (IoT), more workers are equipped with technology that can keep them aware of their work environment. Providing workers with wearables that can help detect signs of fatigue, such as raised heart rate and temperature, signs of heat stress, stroke or cardiac arrest or having no movement for prolonged minutes. The Building and Construction industry has a slower rate of adapting to IoT compared to other industries, but with more users growing accustomed to new technologies, the attraction of IoT's efficiency, usability and innovation, the sky's the limit. To know more about Smart Building Construction methodologies, devices and applications, attend this year's DesignBUILD Expo on 2-4 May 2018 at the Melbourne Convention & Exhibition Centre. For more updates, visit www.designbuildexpo.com.au.